When Poundland got in touch and asked whether we would be interested in taking a look at their back to school range, I instantly said yes. As you will know if you're a regular reader, Darcie starts school this year and she is so incredibly excited. So much so she is asking whether or not its "school day" today, every single day. So we've been trying to keep her busy this summer and also preparing her for this big change. Which I'm sure she's going to love. 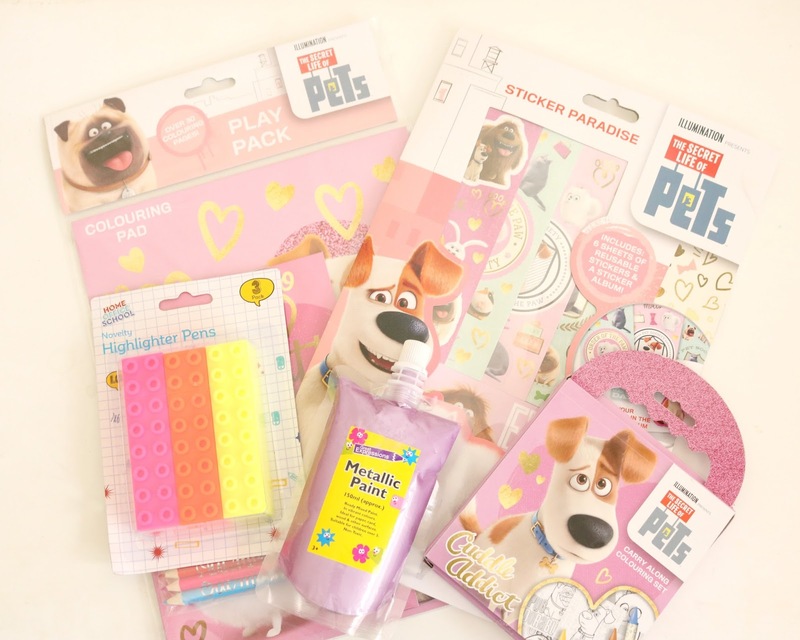 Poundland back to school range is perfect for students of all ages. From nursery aged children who will benefit from their craft ranges through to a University Student. I remember in my own university days when I was hard up for cash, I always headed to Poundland (because, as we all know, everything's a £1!) to stock up - I was never disappointed with the quality either. For Darcie, we were kindly sent some paint to add to her craft cupboard, stickers, colouring books and highlighters. All of which have been made use of already. Their bright colours and fun designs definitely appeal to children. The highlighters are my favourite. I love the fact that you can stack them like real lego bricks - so cool! 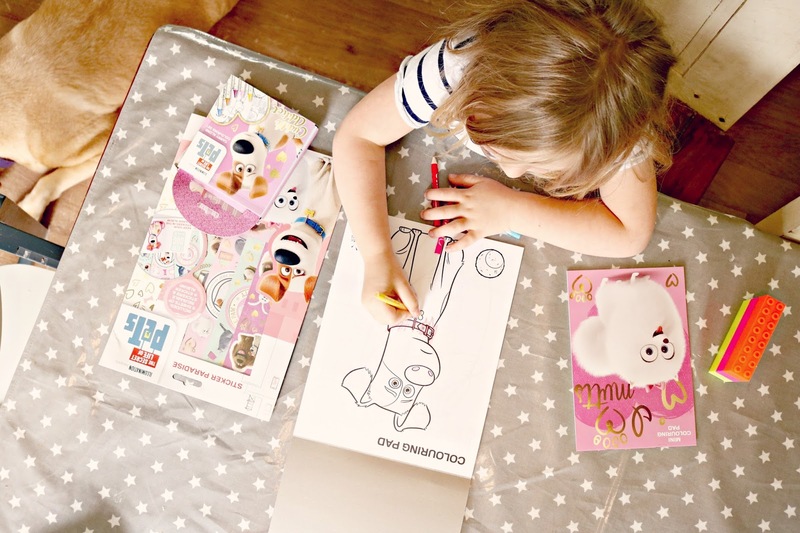 Being a massive fan of The Secret Life of Pets, Darcie was so thrilled to see colouring books and sticker sets in their range. At this age I think these types of activities are a great way of encouraging children to sit and concentrate on one particular activity - before the piles of homework begin. It's good to get them in the habit early. In terms of Darcie being ready for school, I think we're almost there. We've purchased her uniform, her school shoes, book bag and PE bag are all ready for her first day. 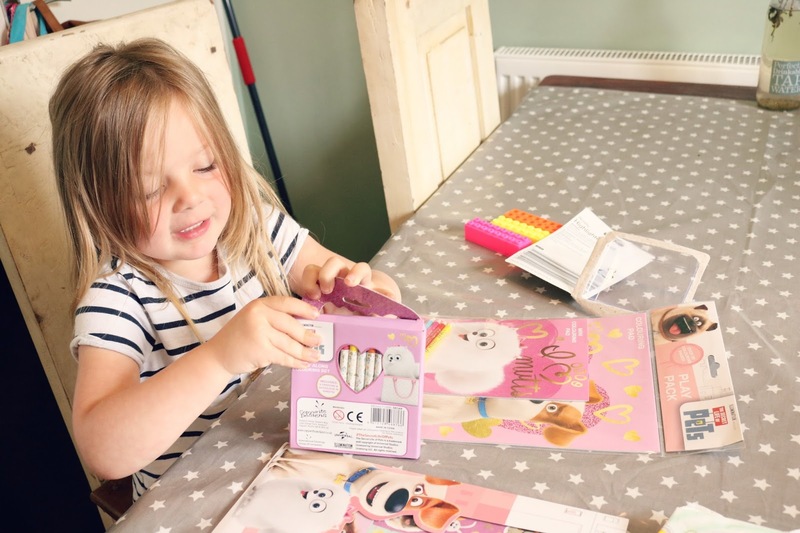 We want to create a little learning station in her bedroom, so we're going to head back to Poundland to pick up a few more pieces as we've been that impressed by the items we received. I'm hoping to get a little whiteboard so she can practise her letters and numbers, a pencil case complete with all the essentials and perhaps some storage pots to keep her desk tidy. Also, as I'm a teacher I plan on stocking up on some classroom essentials, including pencils, rubbers and sharpeners - mine always appears to go missing!! Are you ready for your kids to go back to school in September? *In collaboration with Poundland. All thoughts and opinions are my own.